Finding the perfect setting powder is essential for all makeup lovers looking for a long lasting and flawless finish. I have been in the beauty industry working as a makeup artist and trainer for 8 years and have tried several different brands and setting powders. 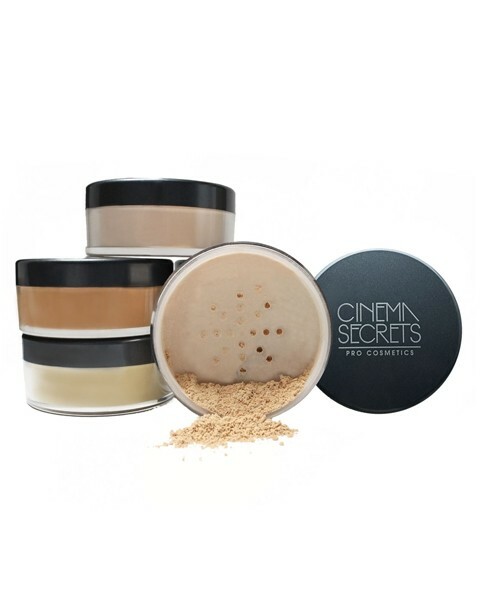 I have become addicted to the Cinema Secrets Ultralucent Setting Powders and the oh so popular Laura Mercier Translucent Setting Powder. Setting Powders were created to be used (some) before and after makeup application to enhance the longevity and wear of the makeup application. They are used to essentially set the makeup for all day wear. They are great for preventing shine by absorbing oils and leave the skin smooth by minimizing fine lines and pores. They are especially perfect to be camera ready as they contain light reflectants remove shine and glare. They are best applied right after foundation application (while foundation is still wet) by using a powder puff or makeup brush and patting it into the skin. Take a look at the benefits of my two personal favs to see which best suits your needs and price range. This ultra-fine mineral based oil free loose setting powder is easy to blend and leaves a transparent matte finish, is moisture resistant, prevents shine, and allows skin to breathe easily. Keep your makeup in place with this light weight oil-absorbing powder that sets your foundation for all-day wear. Enriched with anti-inflammatory agents and antioxidant to fight free radicals, it leaves a smooth, shine-free finish that’s perfect for all skin types. Made with Certified Organic Ingredients this is a Vegan formula and Fair Trade Certified product.The brand offers 6 translucent shades (including a colorless) to accommodate all skin tones. The Cosmetic Company located in Mississauga. Call 905-828-6336 or email orders to jessiecosmetco@look.ca . Ships or can purchase from the showroom. This oil-free lightweight setting powder has sheer coverage for a natural-looking matte finish. This bestselling translucent powder sets your makeup for longer wear. Perfectly for nearly all skintones, the soft-focus effect subtly blurs the look of fine lines and imperfections, and it doesn’t settle into lines or pores. The result is natural-looking and never powdery or cakey. 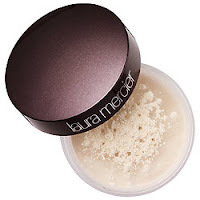 Apply this powder with the Laura Mercier Velour Puff to create a soft, matte finish for a look that will last all day. Now available in two shades, to offer a translucent finish for every skintone, from the fairest to the deepest. The Original Translucent shade works best for fair to medium and tan skin tones while the new shade Translucent Medium Deep was designed to work best on medium deep to the very deepest skin tones, so every skin can enjoy a perfectly flawless, translucent finish.